Automate your everyday tasks from appointment emails to invoicing and estimates with our custom designed septic pumping business software applications. We have been designing reliable, efficient septic business software for the industry for nearly 30 years. We have accrued experience and expertise to deliver the best solution in billing, scheduling, invoicing, employee tracking and more for your company. Our advanced septic cleaning and pumping software increases productivity. It can make your septic business more profitable by reducing time spent on office tasks. Scheduling appointments, sending email reminders, invoices and bidding is automated in one user-friendly program that’s easier to use. It saves time and money. Leaving you free to focus on growing your septic business and serving customers. Whether you want to integrate Quickbooks invoicing and A/R tasks for septic installations, or track employees at job sites on their mobile devices—we have the solution! Our software makes appointment scheduling simple and efficient. Bidding on septic installations is faster and more effective. Scheduling septic installations, cleanings and repairs is simple. Leave the heavy-lifting to us and focus more on growing your business with our professional septic system business software. A well-run septic tank cleaning and pumping business can grow into a highly profitable venture. A skilled entrepreneur who understands the industry can experience robust growth if they are efficient and organized. 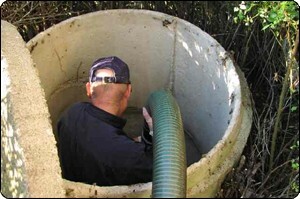 There is always a need for septic tank maintenance, repair and cleaning services. Over one third of residential homes and other buildings in the US have septic systems that require regular pumping, cleaning, and annual maintenance. In this market, a septic company can become very profitable if the business is run efficiently. Remember, high quality customer service is key, as well as having well-trained, courteous employees. Thoughtful Systems provides completely integrated business software to assist in running your septic tank cleaning business. Efficient and effective, it can automate redundant tasks that take up your valuable time. So, you are free to focus on important areas of your business—like growing sales, employee training, and customer service. 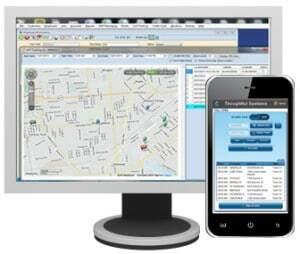 Scheduling Manager software is designed for specifically for septic tank cleaning and pumping business. It automates scheduling, equipment management, and routine paperwork. Our software can also handle invoicing, A/R, payroll tracking, and much more. As a business owner, your time is valuable. Why waste it writing invoices or managing estimates? Our software helps you accomplish more and gain more accounts. This septic cleaning software puts you, the business owner, in control. It saves time by streamlining and automating office tasks. So you can spend more time growing your customer base and expanding operations. Our business software simply makes your septic company more profitable! It is not easy to track employees working at remote job sites and moving from location to location throughout the day. 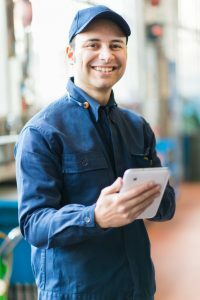 Using the Scheduling Manager software, your employees can check their work schedule and client notes right on their mobile devices. To help your business run even more efficiently, each employee can take job-related photos, record client signatures, produce invoices, receive payments, and much more, right in the field. For a septic tank cleaning business, your septic tank pumping truck is usually the most expensive piece of equipment and keeping track of your vacuum trucks is crucial for business efficiency. Scheduling Manager makes vehicle management easy and you can assign vehicles and drivers to a specific job by simply dragging and dropping them onto a job on a scheduling calendar. Determine the best and least expensive routes for your teams with Mapping and Route Optimization. Save you and your employees countless hours and cut down on traveling expenses, increasing the profitability of your septic tank cleaning business. Seamlessly interfaces with Google Maps and Mapquest. It is recommended that homeowners have their septic system inspected annually. In practice, we know that most wait until the septic tank has backed up into the house or flooded the drain field before they call you for service. Given the environmental and health risks associated with raw sewage, it is in your customers’ and your company’s best interest to remind them about the importance of regular maintenance. Scheduling Manager automates the process of generating customer reminders, notifying your customers that their septic tanks are due for annual service. With automatic reminders, your septic tank business will benefit from stable additional income and easier service calls, and your customers will benefit from better septic tank performance.